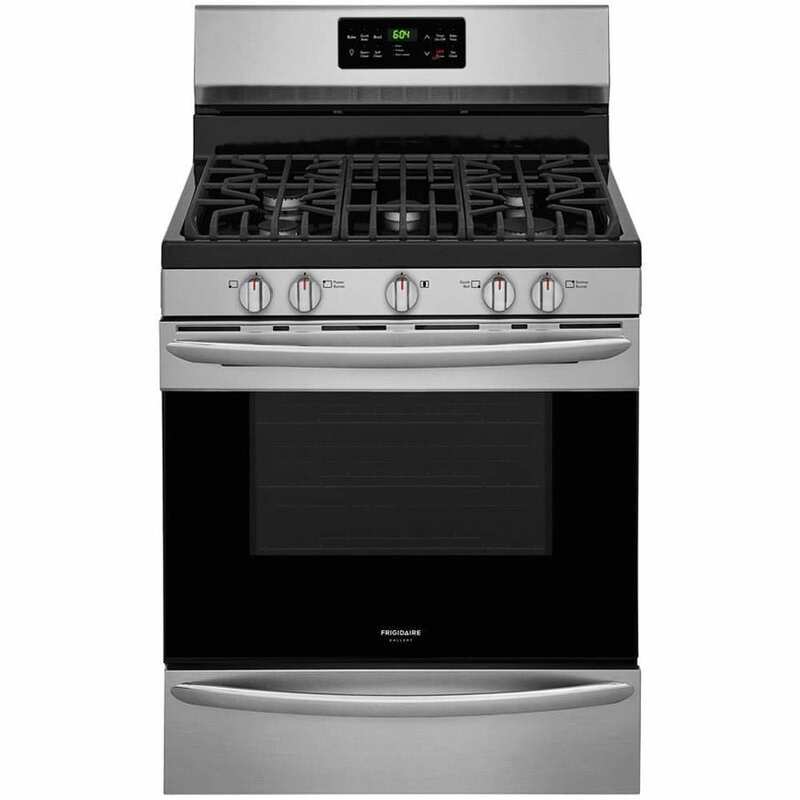 For a limited time, Best Buy.com now they are offering this Whirlpool Stainless Steel 30″ Freestanding Gas Range for just $429.99 (regularly $584) with free delivery. This sleek and modern gas range has 4 cook top burners, a storage drawer and a 5.1 cu. ft. oven. capacity. Sears.com has Kenmore 4.2 cu. ft. Stainless Steel Gas Range Oven w/ Broil & Serve Drawer (73433) on sale for $398.99 - $35 w/ coupon code SEARS35OFF300, final will be just $363.99. Shop Your Way Members (free to join) will also receive $13 in Shop Your Way Rewards Points to use on a future purchase. Select free in-store pick up to save on shipping. Through February 7th, On Lowe’s.com and shop the Appliance Clearance Sale where you can save up to 50% off select items including Refrigerators, Microwaves and more. This Gallery 5-Burner Freestanding 5-cu ft Self-Cleaning Convection Gas Range for only $449 shipped (regularly $899). This freestanding gas range has a smudge-proof stainless steel finish that resists fingerprints and is easy to clean. It has five burners including a power burner for super fast boiling, and a simmer burner for sauces and other various foods. The quick bake convection helps your food bake faster and more evenly. Through April 7th, Sears is offering $150 in Shop Your Way Points when you purchase select Kenmore appliances. Points are awarded the day after purchase and expire 14 days from the day they are awarded. This Kenmore Stainless Steel 5.0 cu. ft. Freestanding Gas Range for just $699.99 delivered (regularly $1,149.99) AND receive $157 back in points. This gas range has five burners including a simmer burner and a Turbo Boil burner. Even better, the grates are dishwasher safe and the oven has timed bake and delay settings so your meals are ready on time! 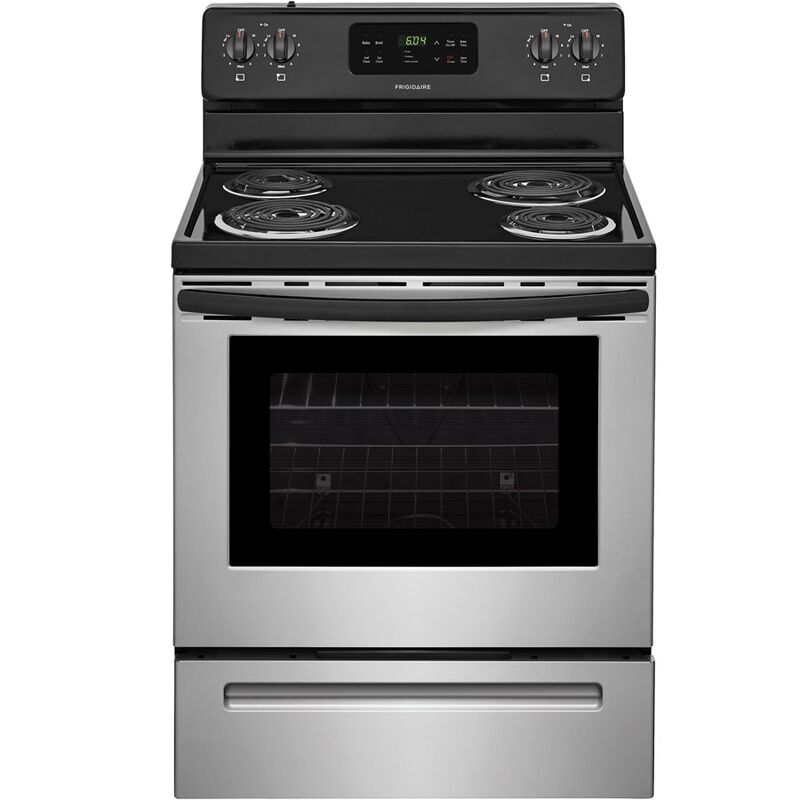 Today, April 16th only, on Lowes.com where you can get this highly rated Frigidaire Freestanding 5.3-cu ft Stainless Steel Self-Cleaning Electric Range for only $379 delivered (regularly $599). This Frigidaire Freestanding Electric Range has a sleek stainless steel finish and offers plenty of room to cook a large family-sized meal. There are four coil elements in two sizesand the storage drawer offers a convenient place to store pots, pans or bakeware!